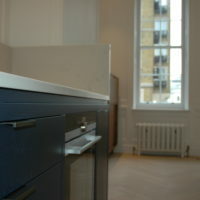 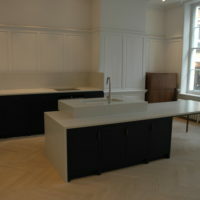 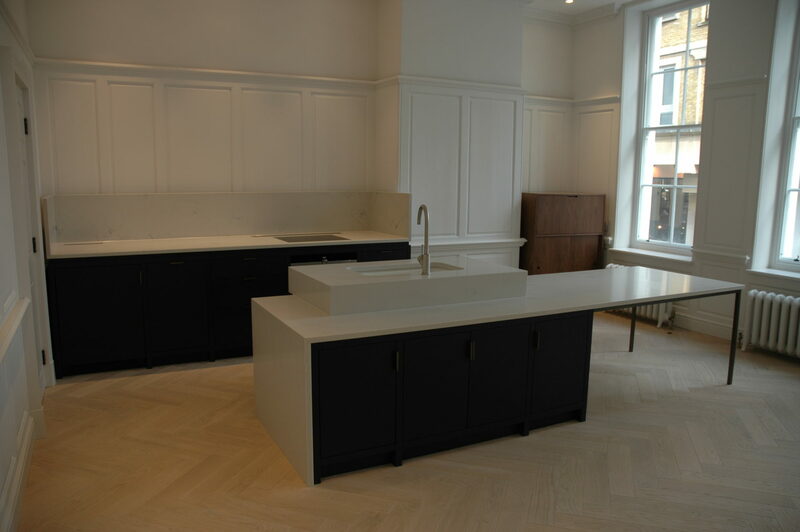 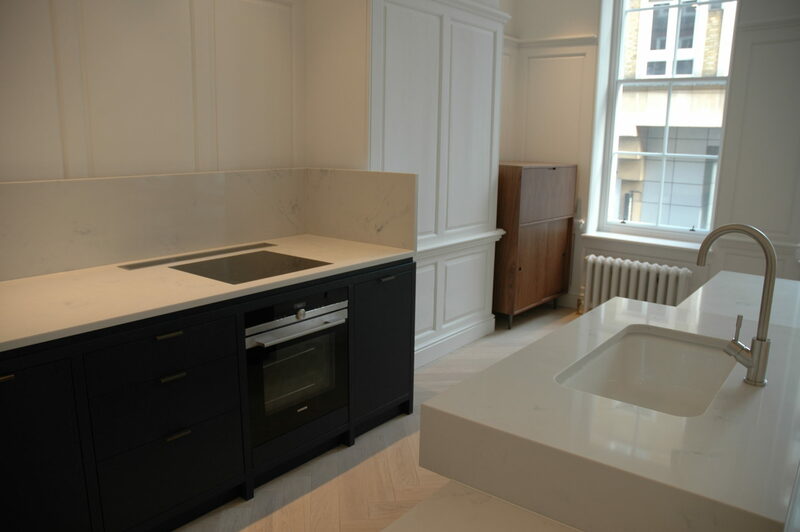 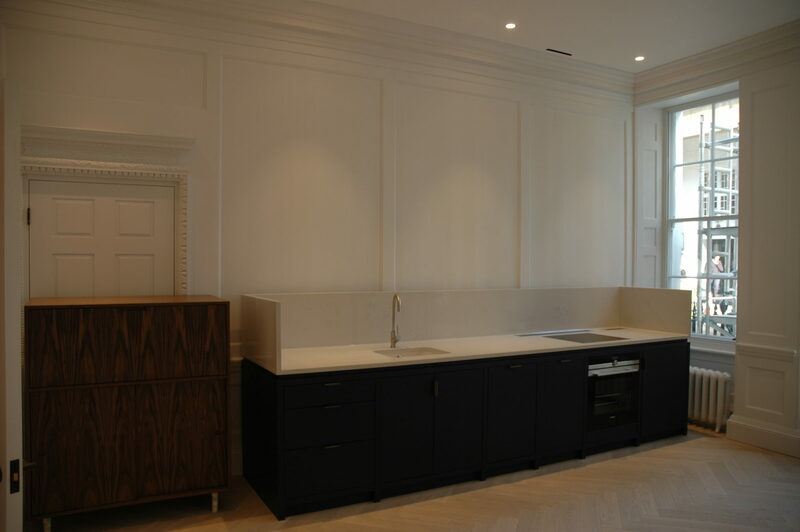 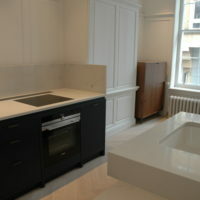 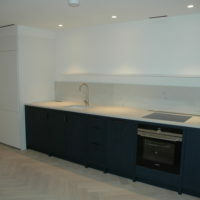 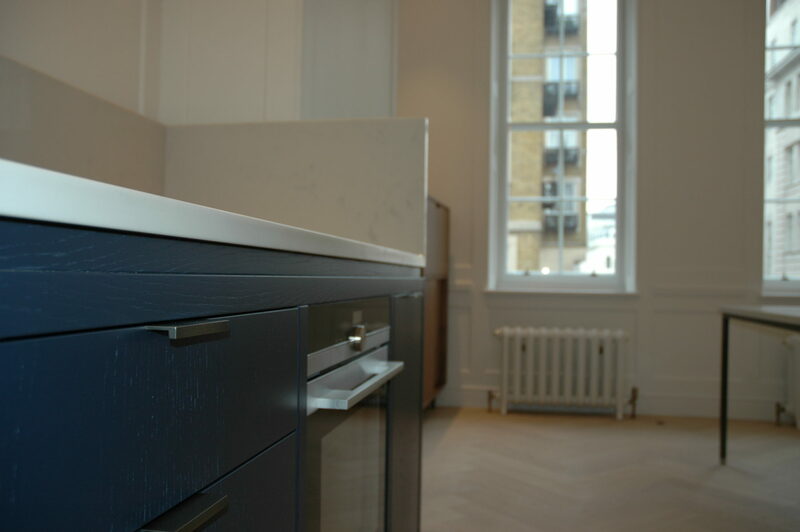 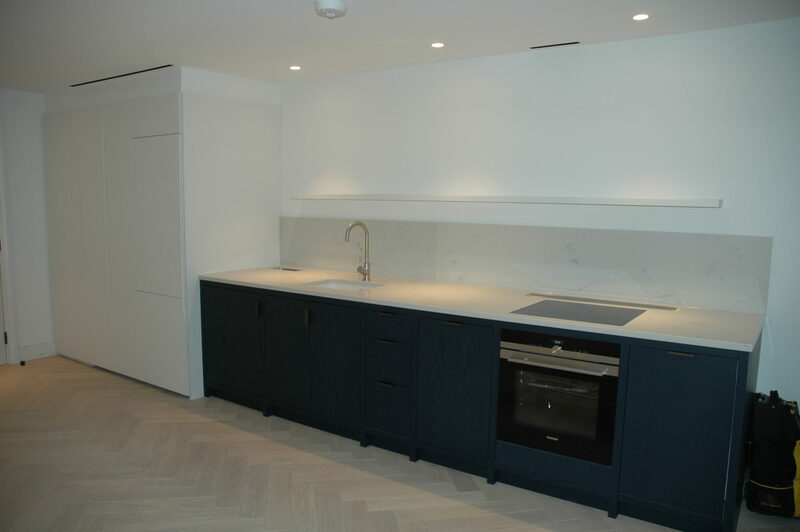 With design by architects Paul Davis + Partners we made and installed a total of 10 kitchens for a central London development. 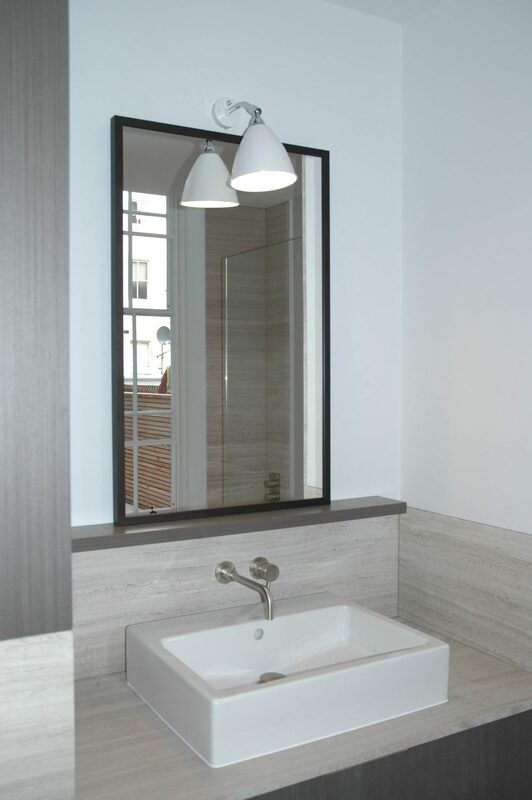 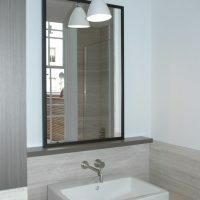 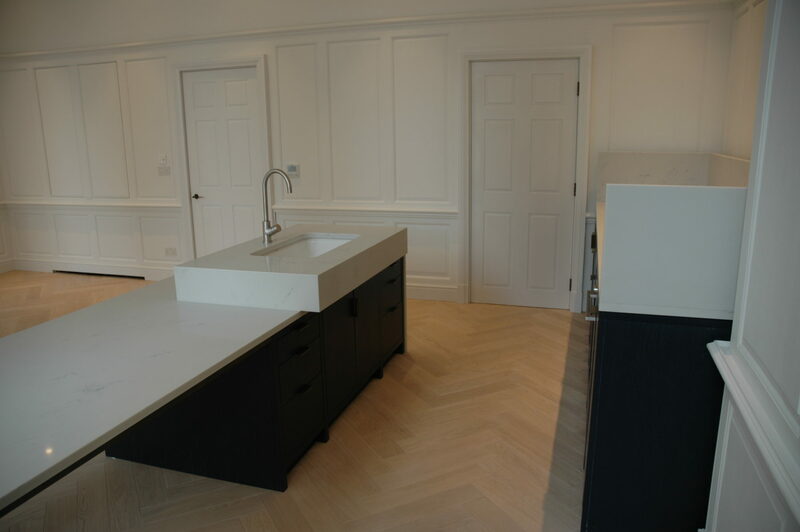 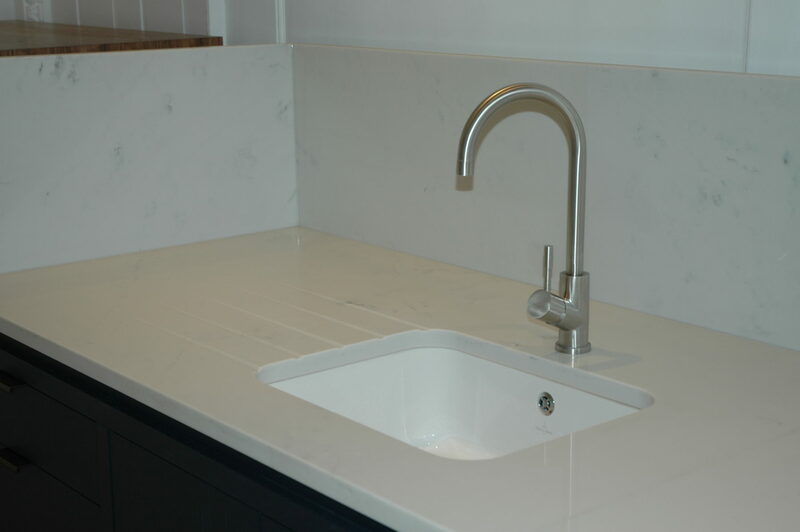 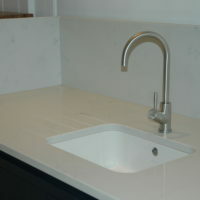 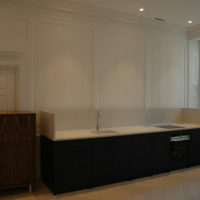 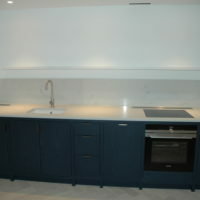 We were responsible for the cabinetry, worktops, appliances and bathroom mirrors. 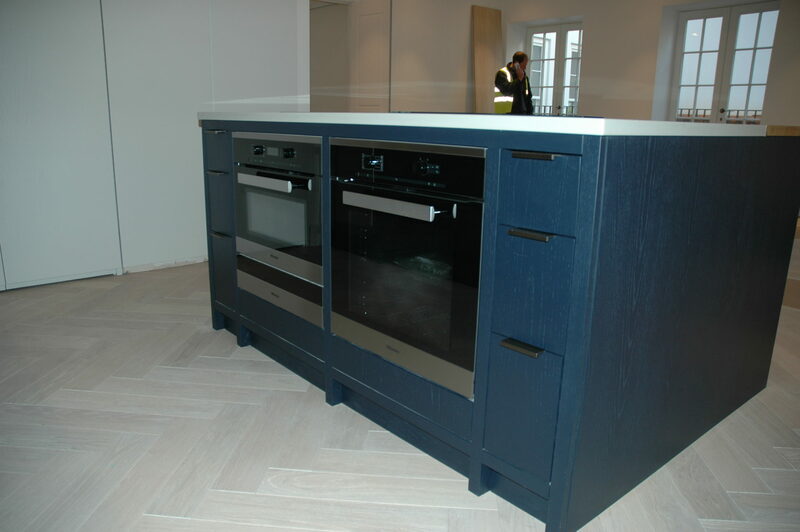 All custom made at our Fordingbridge workshops. 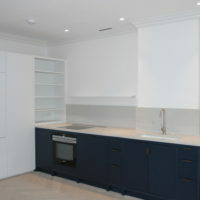 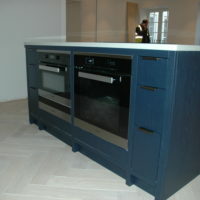 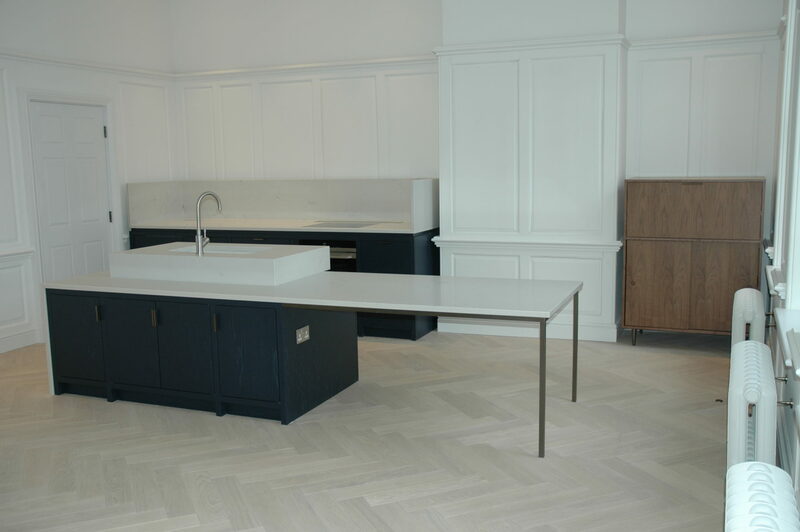 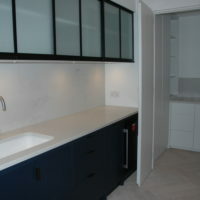 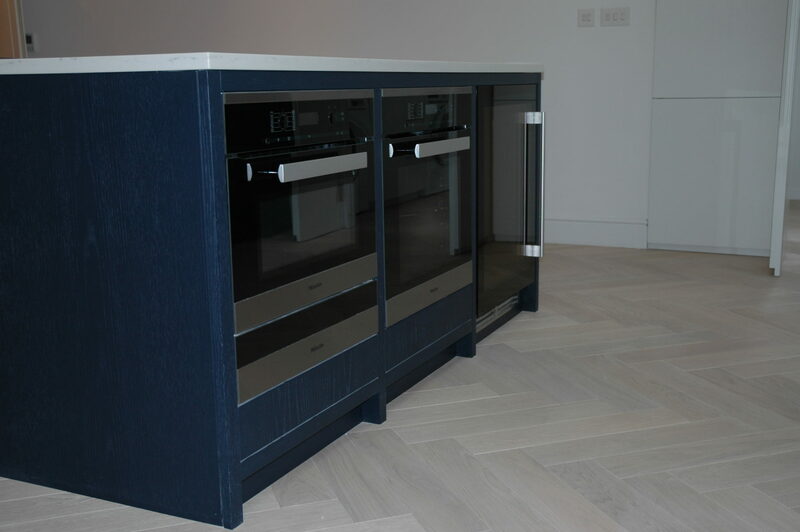 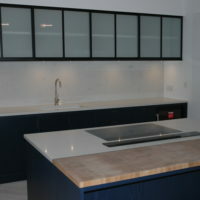 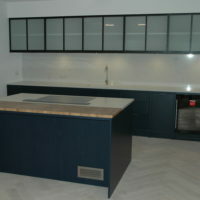 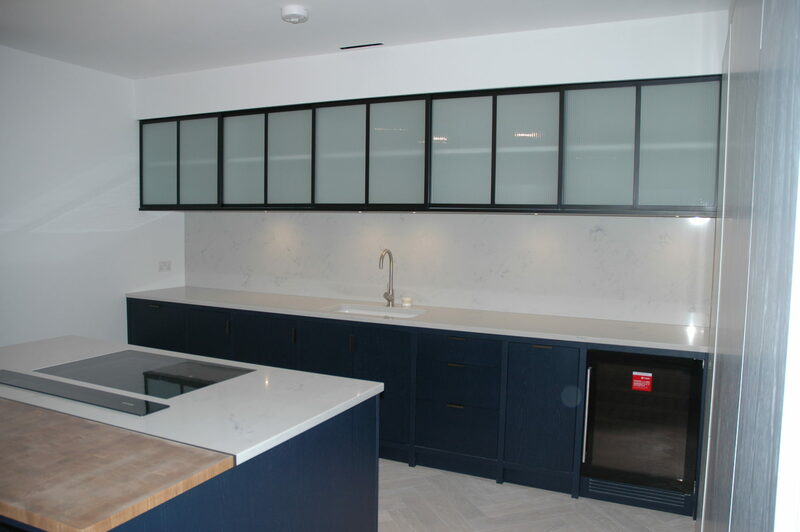 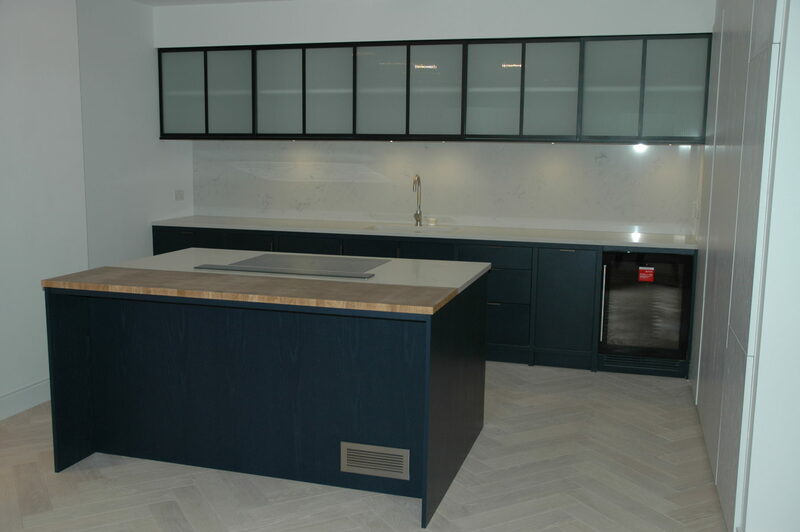 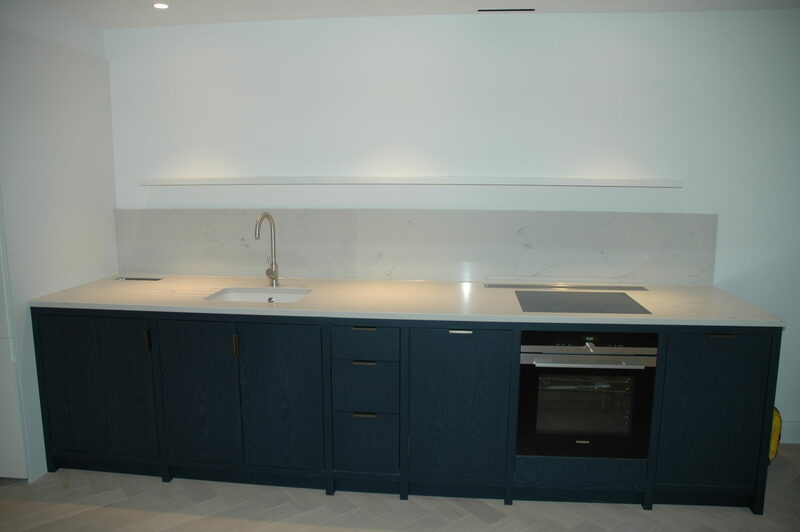 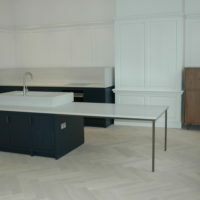 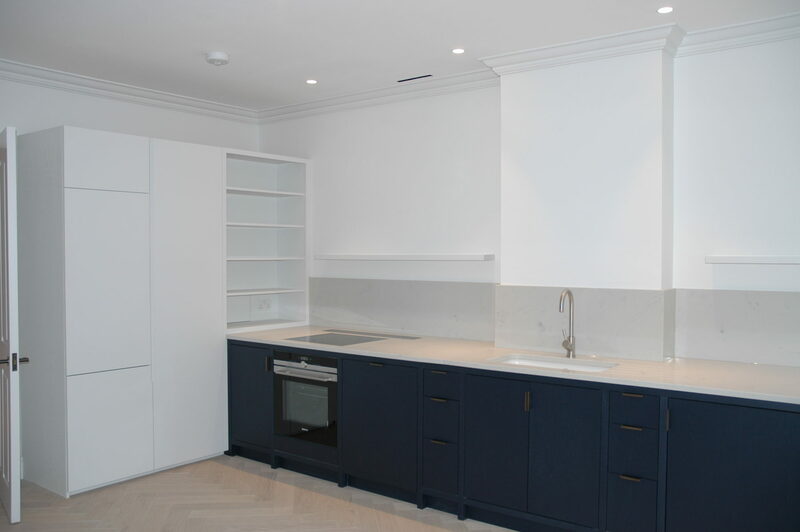 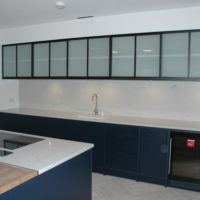 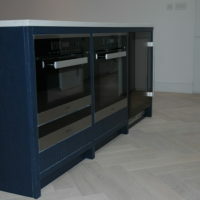 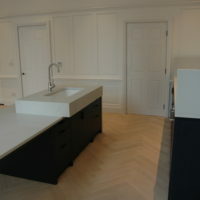 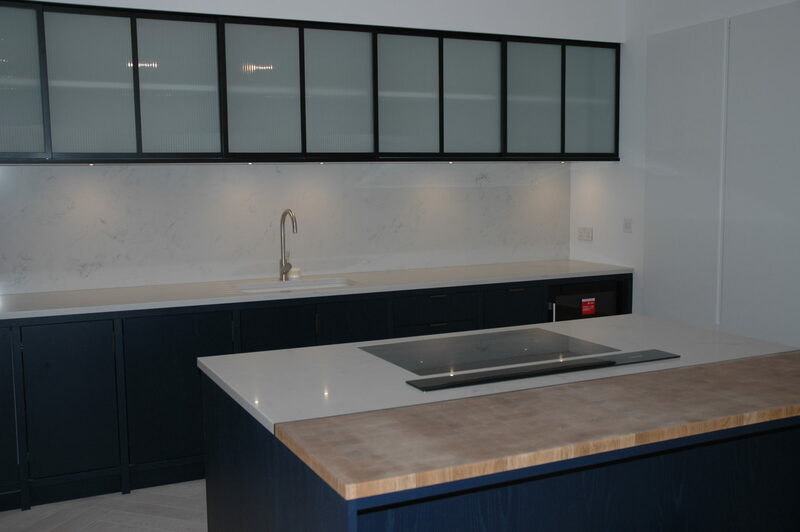 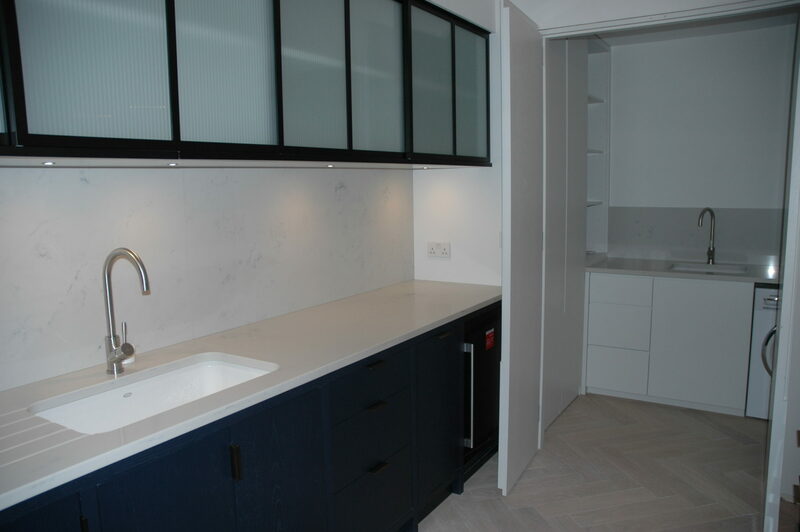 Finishes included open grained blue oak, bespoke electroplated steel handles and framework, San Vincente stone worktops and fluted glass cupboard doors.